MARKINGS: PAT. JULY 21, 1896 at very bottom edge. 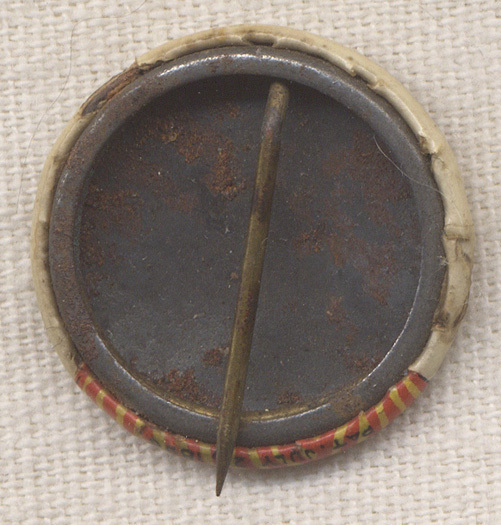 CONDITION: 7+ (Very Fine+): Pin has a few nicks along edge and some small areas of rust on reverse.